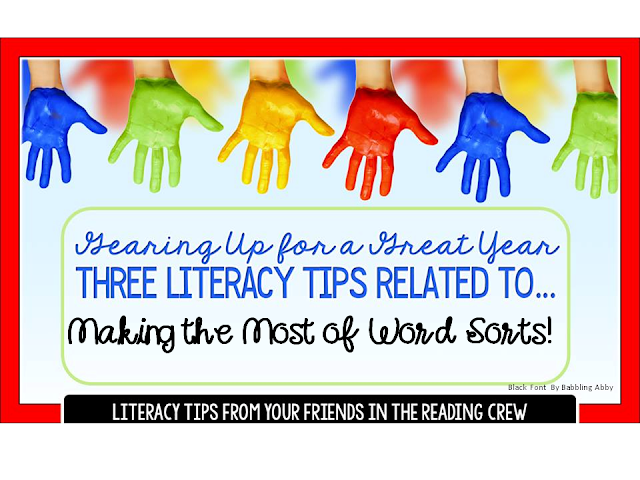 Three Literacy Tips for Word Sorts: Gearing Up for a Great Year! 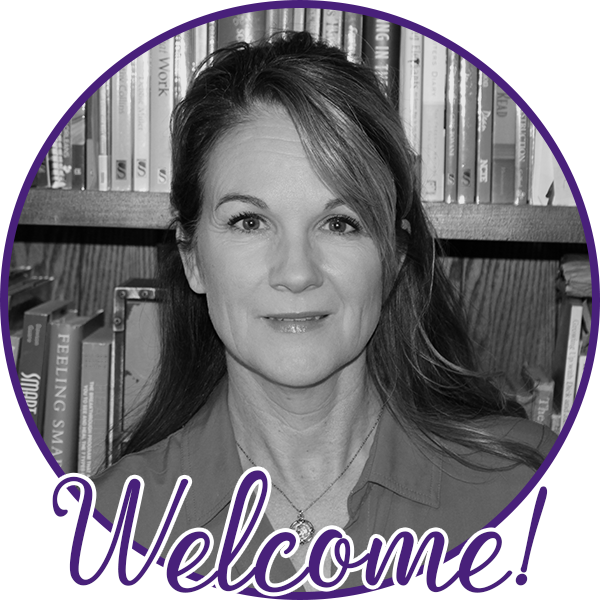 So, why a post on "three tips" when gearing up for a great new school year? Well, we also know the importance of putting routines in place early. 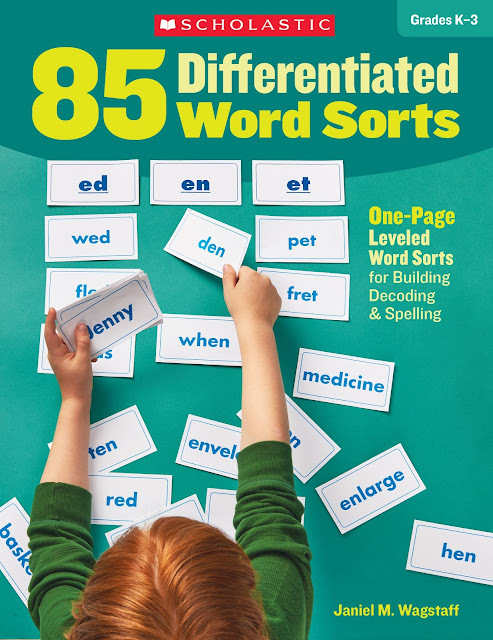 If you use word sorts for decoding and spelling instruction and get this practice started early in the school year, these three tips could be just what you need to make the work more successful than ever. First, for new teachers or those working with new teachers, what are word sorts and why should we use them? Word sorts are sets of words with a common feature (the vowel or rime pattern, for example). Students read the words and sort them according to this feature. 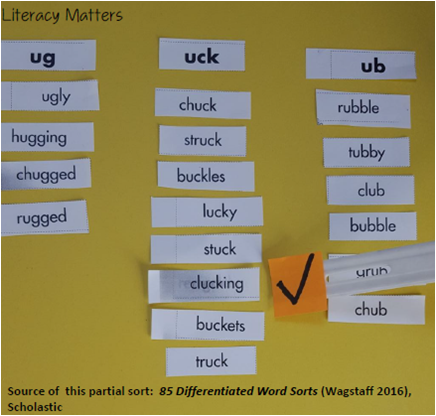 Word sorts have been identified as one of the top tools for helping students see, hear, master, and understand how spelling patterns work in words. 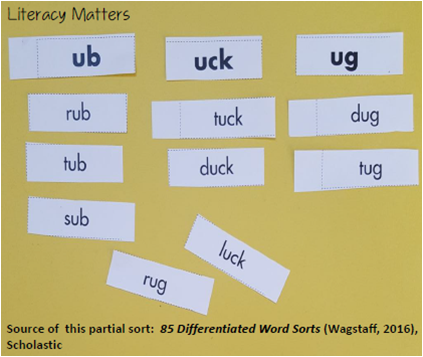 * When we look at the work of renowned spelling and phonics researchers (Bear et al, 2015; Blevins, 2006, 2017; among others), sorts are always cited as one of the best ways to help children process and practice letter-sound patterns. This is a basic, easy-level 'short u' word sort. *There are other types of word sorts beyond those focused on phonics patterns, like sorts for Greek and Latin roots, for example. 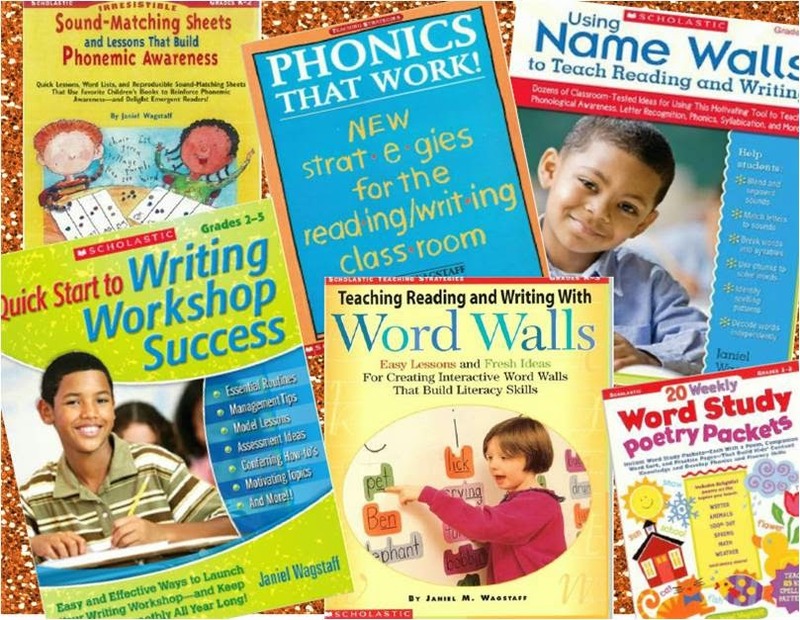 In my experience, I've seen how using word sorts as a consistent routine, in combination with systematic, direct instruction on phonological awareness and phonics patterns, helps learners become automatic at recognizing these patterns while reading and using them while writing. After all, improving students' overall proficiency with reading and spelling are the ultimate goals of word sorting. However, I've also seen some of the problems that typically play out while having students work on sorts independently once you've done the shared work necessary to set up routines. First, I'll focus on two tips that address two of these issues, then I'll share a final tip for differentiation. Tip #1: Establish clear, hard-fast rules for sorting the words. We all have students in our classrooms who, instead of actually reading the words to sort them, rely on visual patterns to place the words. 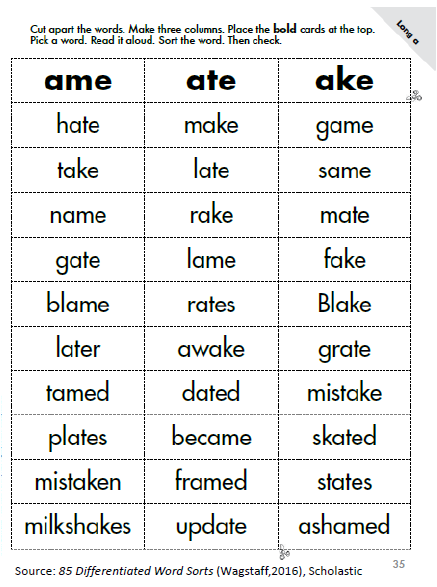 For example, in the picture above, a student could rely on just matching the ending letters in the header cards with the words below rather than hearing or understanding that all of these words have a short u chunk. Is this what we want students to do? Certainly not! We do want them to see how the words match (they are made up of the same letters), but we also want them to hear how the words match and understand why this is so, all while building their familiarity/automaticity with the patterns. Even if we first support students by reading the words together before they are sorted, those who have difficulty may resort to this visual method rather than doing the work of decoding the words. Naturally, I model this procedure for the class and have volunteers come forward and model the 'right' and 'wrong' way to sort words. 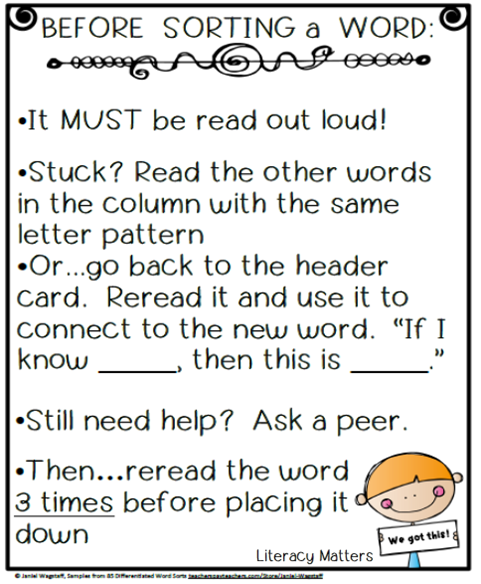 I also set in place the routine of doing random teacher-checks as students sort, so they know they need to read the words aloud to be prepared. Students should understand this is important because if they just use the visual features to sort, they are not giving their brains the practice they need to develop their reading skills. Using this 'cheat' will not advance their phonological awareness or their decoding abilities. Tip #2: When students are sorting words independently (or in pairs), how do we hold them accountable for their work? Ah, yes, accountability. Without it, some students may spend their time just moving words around in columns without truly engaging in the thinking we're after. I address this with another simple routine. When children finish sorting their words, they ask a buddy to do a "quick check" (if they've worked in pairs, they find another pair to do their check). The buddy randomly points to any word in the sort (five random words is sufficient). The child reads these words aloud. If she gets stuck, she refers back to the header card for help figuring out the word. (For example, using the sample below, "If I know uck (looking at the header card) this must be 'cl--uck--ing, clucking!') If a word is sorted incorrectly, the buddy assists and the word must be read three times before being placed correctly. I do the quick check with students who are struggling the most so I can better support them. I might also work with them in a small group to assist as needed. Buddy checking a more advanced version of the short u sort. Another way to hold students accountable is to have them store the words and sort them again the following day with a different buddy doing the checking. On the first day, when we finish, students collect their word cards and put them in an envelope. They write the headers on the front. On the second day, they get out their sorts again and re-sort, this time in one minute! * (Thanks, Wiley Blevins, for this great idea!) Now, a different buddy does a 'quick check.' Students count the number of words they were able to sort in that minute, then remix the words and complete another timed sort, challenging themselves to get just a little bit faster. Students love the game-like feel of this activity and it builds automaticity. Finally, have students take their envelopes home and invite them to re-sort the words one more time with a parent or sibling (more accountability). This person can sign the envelope so it can be returned to school for "extra credit." *If one minute is too fast for your students, adjust the timed sort accordingly. 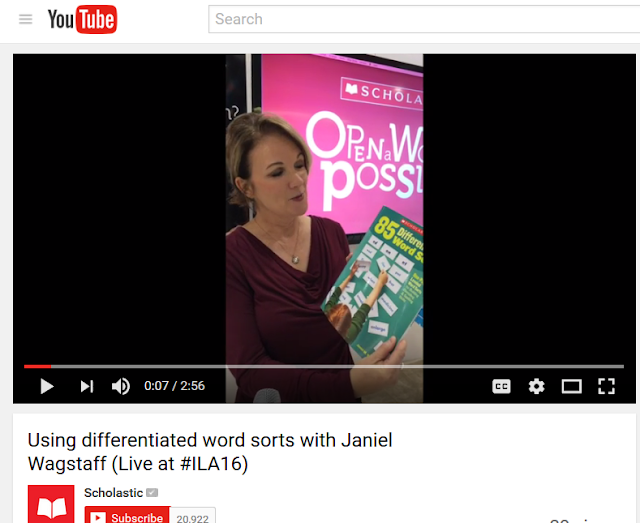 Tip #3: How do we differentiate word sorts? One way to differentiate is to use word sorts in small groups, picking sorts that address the skill needs of the students in the group. Another way is to create sorts wherein you arrange the words on the page by level of complexity so you can simply cut the page apart to give students words that are just right for the practice they need. Here's an example: Say you are working on the silent e pattern with the class. Place your header words or word parts at the top, then start by listing single syllable words with the silent e pattern, moving to single syllable words with more complex onsets (like blends or digraphs), then simple two syllable words with simple affixes, followed by multisyllabic words and more advanced vocabulary. Now, all you need do is make strategic cuts on the page to differentiate. Below is an illustration of how this might occur (using a sort focused on short e). Click here to examine the book more closely. Scholastic is offering it at a 25% discount. Since differentiation is a goal we all have, I took the time to put this resource together. It covers short vowels, long vowels, r-controlled vowels, diphthongs and variant vowels, consonant digraphs, beginning blends, ending blends, and affixes, including and emphasizing all of the highest frequency chunks as identified by research. There are also review sorts with mixed practice. All are one page sorts, ready for you to use to reinforce the concept you're teaching while easily differentiating for student-needs by making just a few quick snips. Here is a short, 3 minute, informal video where I explain the differentiation process and features of the book. At the end, I also share some ideas for having students work with the more complex vocabulary included at the bottom of the sorts. -A few sample pages from the new Scholastic book (one each for short i, long a (with silent e--the one pictured above), mixed variant vowels, and the affixes un-, re-, and dis-). So, you're off to prepare for a new school year! I hope these tips help make word sorting a more productive part of your word work routines! 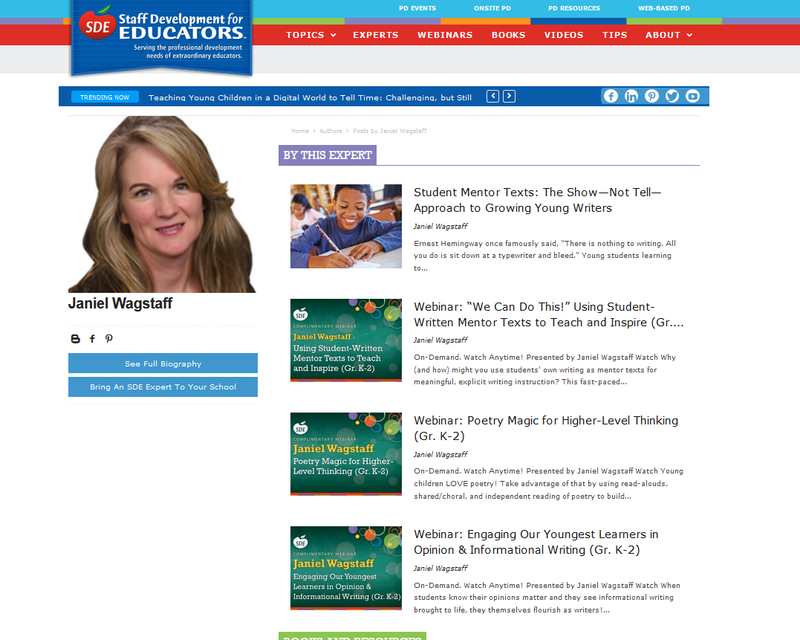 Also, be sure to enjoy the other literacy tips offered by the amazing teacher-bloggers who have linked up below and enter the Rafflecopter giveaway! As always, I welcome your comments. Have a fantastic reading/writing/thinking day and here's to a GRAND school year! Great tips for holding students accountable! Thanks for the student friendly chart. You are very welcome! Will jump over and take a look at your post. Appreciate your visit! Love your post! Teachers can always use ways to simplify record keeping and Running Records and so essential to doing our best literacy work. Thank you! Thanks, Julie! I appreciate your feedback! You're very welcome, Sarah! Happy word sorting! Great ideas! Thank you, Janiel. Thank you! Word sorts hold a great deal potential for our young students. I will post more tips in the future! I'll jump over to check out your post!